This issue’s cover illustration is from Crowns and Codebreakers (The Marsh Road Mysteries) by Elen Caldecott. The illustration is by Nathan Reed. Thanks to Bloomsbury Children’s Books for their help with this July cover. By clicking here you can view, print or download the fully artworked Digital Edition of BfK 213 July 2015 .
is up, but Betty LOUDLY proclaims she wants to play…her flute, the drums, her trumpet…..until thankfully she does tire and seems ready for bed. ‘BUT SUDDENLY…’ she wants to paint, first a flower, a dinosaur, then a monster. Sleepily, she yawns, but no, this time it is BEEP, BEEP, HONK, HONK with her toy cars. Tiny Toucan appears insignificant and helpless in each situation. Finally, action. All the toys are swooped up and bundled into a cupboard. 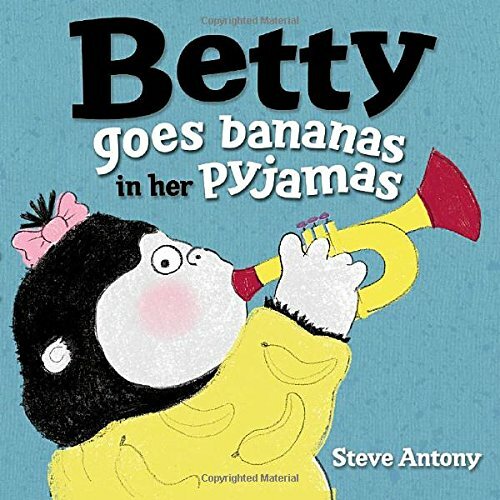 Here Toucan promises a bedtime story if Betty will calm down and get into bed. Hurray, this was just right, and the story is such fun Betty wants it again, and again … until she is fast asleep. There is a wonderful final twist to the tale, as we note that the clock reads 10pm. The book provides a perfect opportunity for discussions about tantrums and bedtime battles. Readers will love the author/illustrator’s bright characters, tiny Toucan and loud Betty, and each spread encourages engaging with the text.